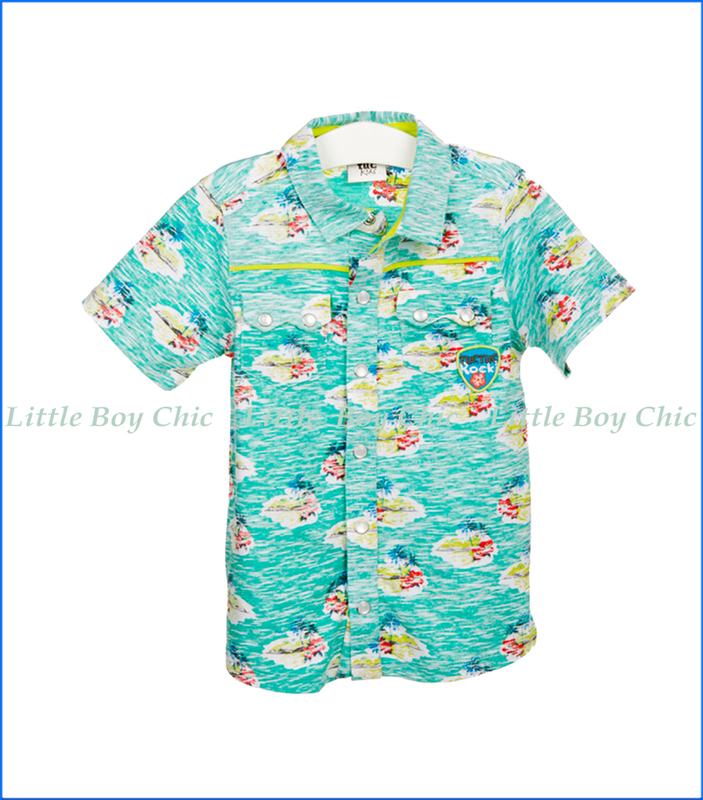 Set the right mood poolside or at the beach in this Hawaiian button down shirt by Tuc Tuc. Beautiful aqua color is perfect for the season. Front snap button pockets. Split tail hem.